The post Five Record Labels Fueling The Italian Underground According To Elena Colombi appeared first on Telekom Electronic Beats. Before they expanded into doing their own MIDI controllers and synth hardware, Arturia rose to prominence on their modeling chops. And they have tended to spin those modeling engines and competency in recreating vintage gear into spin-off products. The trick with the “3 [things] You’ll Actually Use” series has been rising above the crowd of vintage remakes now available to music producers. So that’s been about doing two things: one, picking three blockbusters to reproduce, and two, adding some functionality extras that lets producers get creative with the results. And that’s to me what has made the series interesting – while lots of vendors will sell you reproductions of classic studio equipment, these have been ones you might well use in the production process. It’s not only about perfecting a recording or mix, but also about integrating into your creative process as you’re developing ideas. The compressors trio go that route, too – so in addition to using these routinely in mixing or mastering, you can also use them for some inventive sidechain or saturation. The 1176 is pretty ubiquitously desired at this point – and of course among other recreations you can keep it in the family of creator Bill Putnam Sr. and try Universal Audio’s own creation. It’s something you can use for subtle tonal shifts even at lower levels, in addition to cranking up compression if you want. So why add another reproduction to the pile? Arturia has added a “link” button for automatic volume leveling if you want – giving you the 1176 sound but more modern behavior on demand. And you can use the 1176 as a sidechain. Oh – wait, that’s really huge. And there’s a creative “Time Warp” feature with pre-delay. 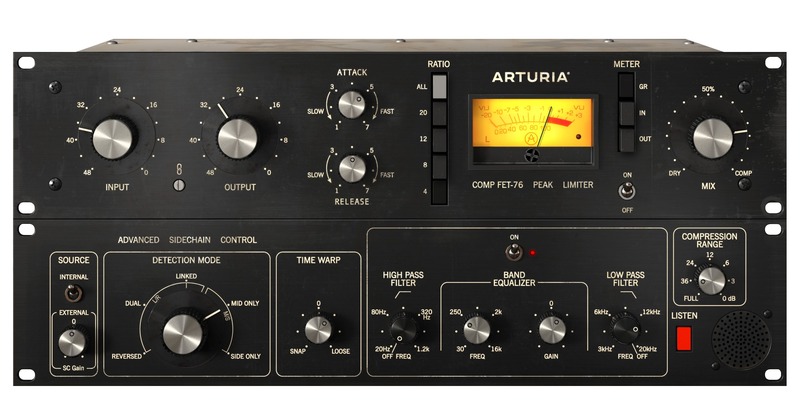 So thanks to the fact that Arturia aren’t being quite as precious with the historical design as some of their rivals, you can choose either an “authentic” 1176 recreation, or something that’s 1176-ish but does things that were impossible on the original analog hardware. It’s surprising enough for the 1176 to be new again, but the other models here have some similar ideas. Next, you’ve got the “Over Easy” 165A, an essential compressor in a lot of studios, which has both some nice dirty, gritty timbral character of its own and punchy processing plus Mid/Side processing. For this model, Arturia have introduced a whole new panel of additional controls that fold out when you want them in the UI. Don’t be fooled by the skeumorphic knobs; the original DBX didn’t have these options. That also includes their “Time Warp” pre-delay, convenient side-chaining (here with an easy “manual mode” trigger so you can preview what it’ll sound like), and now an integrated EQ. That EQ is modeled on SSL-style channels, so it’s a bit like having a pre-configured mixer rig to use with your sidechaining. The STA-Level is maybe the most interesting of the three as far as rarity. It also gets (optional) modernization, with an input-output link for automatic leveling, a parallel compression mode that’s integrated with the software (plus an easy “mix” knob for adjusting how much parallel compression you want to hear), and sidechaining. But on the other, and here’s where Arturia clearly has an edge, you get new sidechaining and auto-leveling and other features that make these more fun to use in modern contexts and easier to drop into your creative flow. Sidechaining these kinds of compressor models alone I think is a win; the convenience of the UIs and the fact that these are native on any platform to me makes them invaluable – maybe even compared to the existing filter and preamp offerings. I’ve been playing around with them a bit already; I’m especially curious if I can run a couple in a live context – will report back on that. But I’m already impressed on sound and functionality. Everything is on sale, so if you own existing Arturia stuff, you could get these for as little as $/EUR 49 (or half off if you’re new to the series), or in discounted bundles. You can also buy the compressors individually, if there’s one that really catches your fancy. Honestly, just one wish – this is such a useful bundle of effects in the nine Arturia has built, I’d love to see it on Linux. It might be the only bundle you really need. 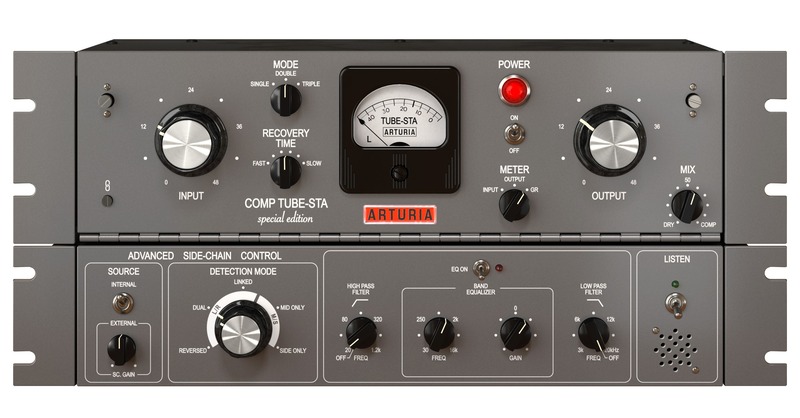 The post Arturia’s 3 Compressors get creative, producer-friendly appeared first on CDM Create Digital Music.